Discogs is now live on the Play Store. Find the link to download it in the widget below. 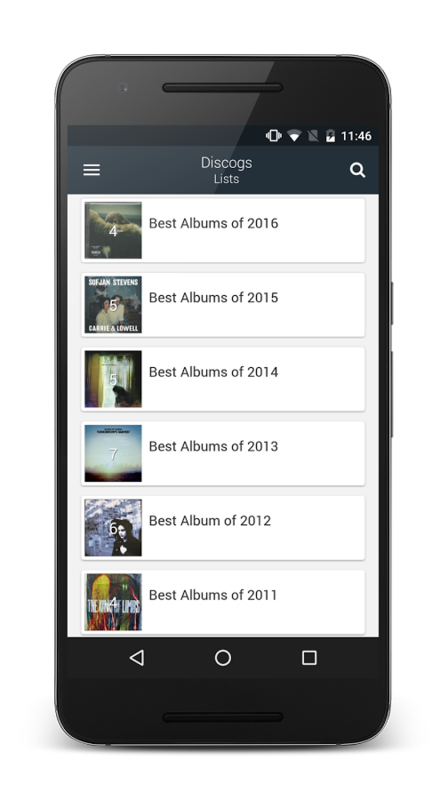 As a music lover, one of the first apps I looked for on Android way, way back in 2012 was a cataloging solution for my different albums and a way to browse artist releases à la IMDB. I quickly stumbled on the Discogs website, but for a long while, I couldn't find a decent app for the service on Android. 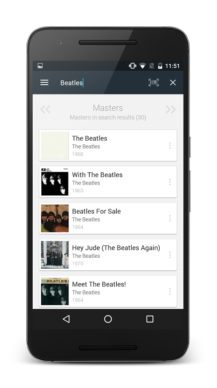 The situation has changed a lot recently with several apps providing access to Discogs and working well enough to make the need for an official app less urgent. We are excited to be partnering with Andreas Dahl, the talented developer that created Discographer. Andreas has been an active Discogs user for over 6 years and he started working on Discographer around a year ago. 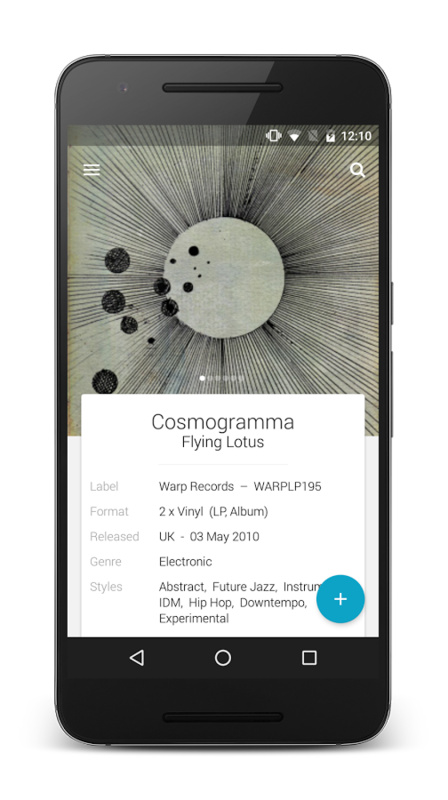 When Discogs decided it was time to work on an official Android app, it only made sense to involve Andreas since he had already created such a great unofficial Discogs app. 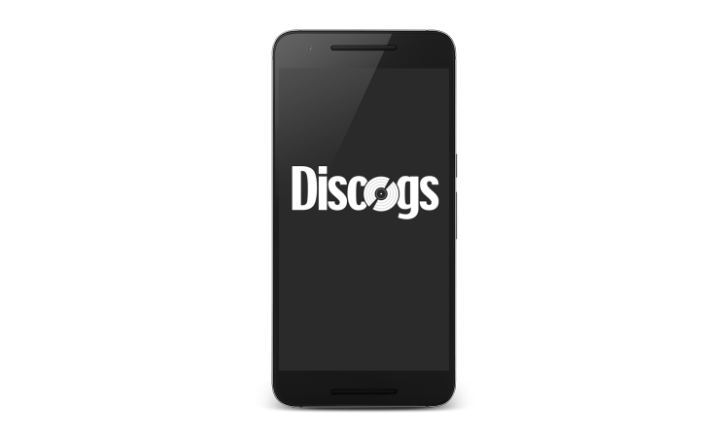 "I’m very happy to be partnering with Discogs to make the official app, and my focus going forward will be completely on the official app. As for the differences (between Discographer and the Official Discogs App), there’s not too many feature differences (yet! ), but there’s actually a ton of changes that aren’t directly visible. There’s been a lot of work going on to make it better and more stable, and that work will continue in the future. Similarly to how I always worked with Discographer, I consider the app to always be evolving and improving, and I will keep working on making this app as good as possible, and a lot of it will be based on the feedback we get from you, our users. 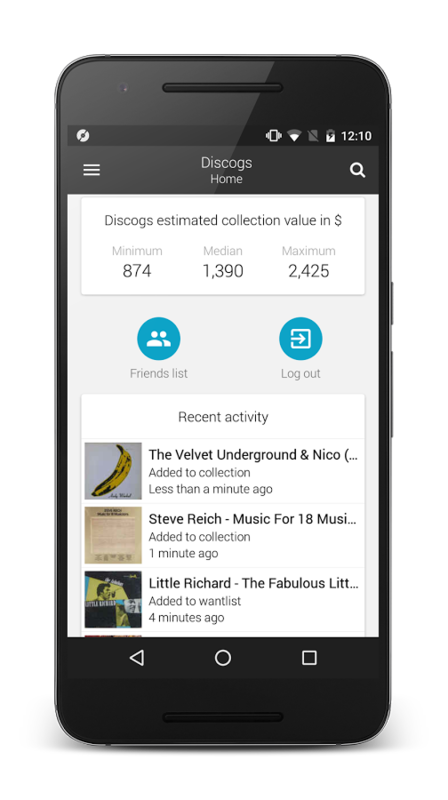 Being able to directly partner with Discogs will mean that there’s a lot more possibilities to further improve the app, and we’ve got a lot of cool stuff planned already." Back to the app itself. Discogs gives you access to your account, lets you search for artists and releases and view all the corresponding user-submitted details. Artist pages have photos, a short biography, full discography (releases, appearances, unofficial releases, and artist credits), band members if applicable, name variations, and official website links. Releases appear with a photo, release date, genre, format, links to the artist/group, a full tracklist, and a list of all released versions (CD, Vinyl, DVD, etc). 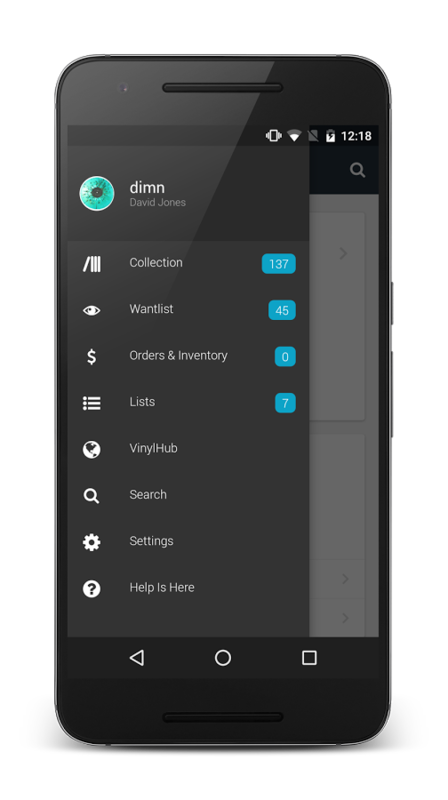 You can manage your collection and wantlist, add releases to your personal lists, view record stores around you and track your orders and purchases, sell your items if you don't want them anymore, and access your friends list and see their own collections and lists. 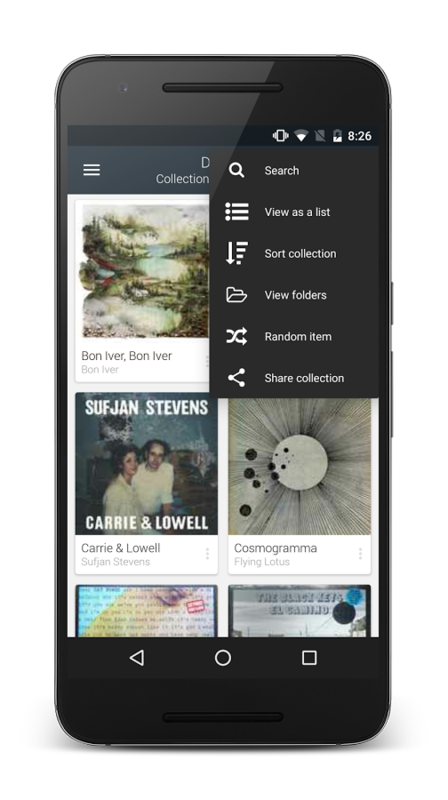 The app even lets you scan the barcode on your own physical CD or Vinyl collection to quickly add releases to your collection. There's also a section to add your own rating and notes to each item you own. The settings let you limit image downloading to WiFi, lock the app in portrait, set up sync with Discogs, and choose a default sort and view method. 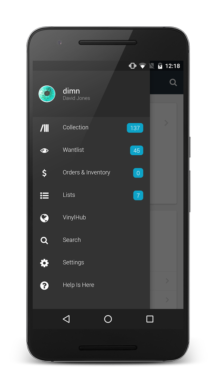 Speaking of sync, you can keep your collection and wantlist available offline. I've been testing Discogs for about a week now and I found it works well, but it seems a little clunky and slow to respond sometimes. The only thing that I have missed is an option to add artists to your favorite lists. I also wish Discogs (the service and the app) would start notifying you when there's a new release for an artist you've favorited - something akin to BeatHound. Those small gripes aside, Discogs is nice to have for any music collector. The app should go live on the Play Store at this link on July 12, but in the meantime, if you want to give it a spin, you can still grab Andreas' Discographer for Discogs for a similar, but not exactly identical, experience.